As the US currency continues to slump, now reaching the lowest since 2009, the great gold buy back has began. Where as banks were at one time selling off gold as fast as they could, now they are falling over themselves to buy gold back again. Gold has reach a record highest ever no less than 14 times this month (April 2011) and Central banks are now buying gold to reduce their reliance on the dollar as a reserve currency. In other words the banks are changing their reserve currency from dollars to gold. Robert McEwen, the chief executive officer of producer U.S. Gold Corp indicated that as developing countries accelerate purchases, gold may very well reach $2,000 an ounce this year, compared with a record of $1,569.80 today in New York. "China is out to have more gold than America, and Russia is aspiring to the same,” McEwen said in an interview recently at a Bloomberg Link conference in New York. “When you have debt, you don't have a lot of flexibility. China wants to show its currency has more backing than the U.S."
In 2010, central banks started to buy gold and became net buyers for the first time in two decades. 87 tons of gold in official-sector was purchased by countries including Bolivia, Sri Lanka and Mauritius, according World Gold Council information. 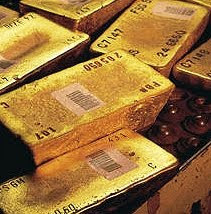 China, with just 1.6 percent of its reserves in gold, is expected to invest more than $1 trillion in bullion. Euro Pacific Capital's Michael Pento said. "China wants to be an international player, and they need to own more gold than they currently have." And Michael Cuggino, who helps manage $12 billion at Permanent Portfolio Funds in San Francisco stated, "Until monetary policy changes, you’re going to continue to see gold go up,"
As of April, China was the sixth-largest official holder of gold, with 1,054.1 tons, while the U.S. has the most, with 8,133.5 tons, or 74.8 percent of the nation’s currency reserves according to World Gold Council estimates. The Fed recently stated it would buy $600 billion in U.S. Treasuries through June. This will certainly have an affect on inflation, spur other nations to divest themselves of the dollar and increase their buy gold strategy. "The Federal Funds rate would have to rise to 'Volcker' levels before gold enters a bear market …" said Gold Corp.’s McEwen, who is expecting the metal to rise to $5,000 an ounce over the next three to four years. The value of gold has increased by 10 percent this year, continuing a ten year record of gains. Gold has risen sixfold from a low in 1999 and the all-time inflation adjusted record is now $2,338.92, based on the value on Jan. 21, 1980, according to the calculator on the Federal Reserve Bank of Minneapolis web site. Although former Fed Chairman Paul Volcker ended gold's rally to a then-record $873 by raising borrowing costs to 20 percent in March 1980, Bernanke is very unlikely to attempt that strategy given the current level of sovereign debt, and so the great buy gold back by the central banks lead by China will continue. I am often asked, why should I buy gold? Why not buy stocks or shares or currency or even other commodities such as seed or pork bellies for example. Today the US dollar is worth some 80 percent less than it did 40 years ago. This trend in the decreasing value of the dollar means that it now buys less than 5 percent of what it did some 40 years ago. Currency is not a good buy under these circumstances. Stocks and shares are subject to so many variables such as market trends, company director and management decisions and so on. Agricultural commodities are subject to unpredictable variables such as the weather for example. Few commodities have consistently managed to retain their value come what may. One of these is gold. Unlike other commodities, gold keeps it purchasing power. Whereas each year it takes more dollars to buy the same amount of goods or services, this does not apply to gold. 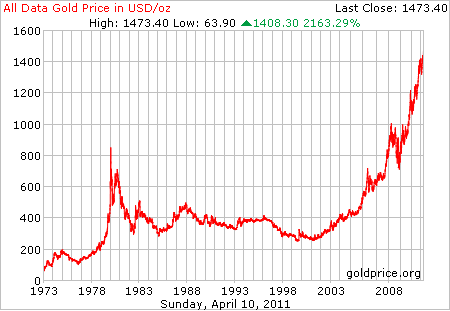 An ounce of gold will buy today exactly the same amount or quantity of goods or value of service as it did 40 years ago. Against a backdrop of decreasing value of currency it can be clearly seen that it is not the value of gold that changes, but the quantity of currency needed to buy that gold. 1. INDEPENDENCE. The security gold offers, is provided as a result of its very independence. Gold is independent of states, currencies, productivity and credit worthiness. Some economic or political influences may affect the price of gold, but not its value which remains independent of them. 2. RESERVE ASSET. Many experts advise private investors to hold between 5 and 10% of their wealth, in the long term in precious metals. Experience has shown that the regular purchase of gold and silver coins help to protect the smaller investor against price and currency fluctuations. 3. SECURITY. Gold has always been prized as precious and valuable. Over the years gold has proven itself to be one of the most reliable stores of value. It does not tarnish or deteriorate. It has no used by date and keeps in exactly the same condition as it was when first emerged from the refinery. 4. STABILITY. Despite possible price fluctuations on the open market, the value of gold has remained remarkably stable and has shown repeatedly the tendency to rise. 5. LIQUIDITY. Gold is traded around the globe 24 hours a day. With gold you possess an international currency which can always be sold around the world at any time. Currency will fluctuate in value compared to other currencies but gold remains stable in actual value regardless of the currency use to measure its worth. Gold bars and rounds are probably the most economical and easiest way to buy gold. The larger bars one can buy the cheaper they will be due to the smaller premium per ounce one has to pay. Gold rounds are coins or coin shaped gold manufactured by private mints. They are not legal tender and the value of these is contained within the gold content. One can store small bars and rounds oneself or have them stored in a bank vault. In today’s uncertain financial world it is good to know that there is some stability still in the offing and that it is still obtainable. It is sage advice indeed to say, buy gold. Fair Trade does not just apply to coffee anymore. It applies now to a variety of products and one can even buy Fair Trade gold these days. Much gold is mined under conditions for miners that could be called adverse at the best and very dangerous at the worse. Especially in parts of Africa where labor is cheap and human rights and human life are not highly regarded. But now the Fairtrade Foundation and Alliance for responsible Mining (ARM) have taken up the banner with the worlds first Fair Mined and Fair trade gold now launched u the United Kingdom. There are, at the last count, over twenty jewellers participating in the campaign for a fair deal for Artisanal and Small-scale Miners (ASM). Royal jeweller Garrard is among 20 companies to launch the first of the gold, which has been used in collections and one-off pieces. Each piece will carry a Fairtrade and Fairmined hallmark. Other Jewellers include, Stephen Webster, Jon Dibben and Harriet Kelsall, and each now retail jewellery and gold products made from Fairmined gold. 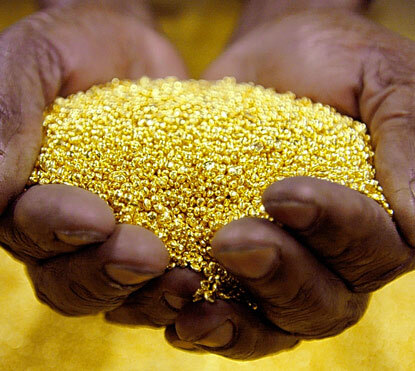 Their consumers will be able to buy fair trade gold before the end of the year. The Cotapata Mining Co-Operative in Bolivia was the first Fairtrade and Fairmined mining organisation to be certified by independent auditor Flo Cert, with more expected in the coming weeks and months. Greg Valerio, founder of Cred jewellery, said he got into the movement after finding that as a jeweller he was unable to tell customers where the gold in their jewellery had come from. He said: "I think that is an unacceptable reality. What I love about what we've done here is that we’ve put the soul back into gold." Participating jeweller Stephen Webster, creative director of his eponymous brand and Garrard, said: "I'm very very passionate about that fact that people coming into our store now getting engaged, getting married, will be offered the option that they can have Fairtrade gold or conventional gold." The gold initially launched in the UK, also benefits mining communities in Peru, Bolivia and Ecuador by offering them 95% of the London Bullion Market’s (LBMA) price fix for gold. Currently ASM"s are at the mercy of middle-men who cheat them on price on the grounds of weight and purity and are offered anything from 35% to 85% of the LBMA fix for their gold, despite the fact that they account for 10% of the world gold production and 90% of the extraction workforce, leaving many miners living on as little as $1 a day. Miners will be able to earn an extra 5% premium against the LBMA fix if they recover gold without the use of mercury or cyanide. It is intended to roll the scheme out to other countries with the aim of capturing 5% of the world’s gold jewellery market by 2015. A network of pilots will be launched in Africa soon and then in Asia, enabling more miners to join. ARM said it hopes to introduce three to seven new producer organisations a year, resulting in consumers able to buy fair trade gold and gold jewellery from their local jewellers.